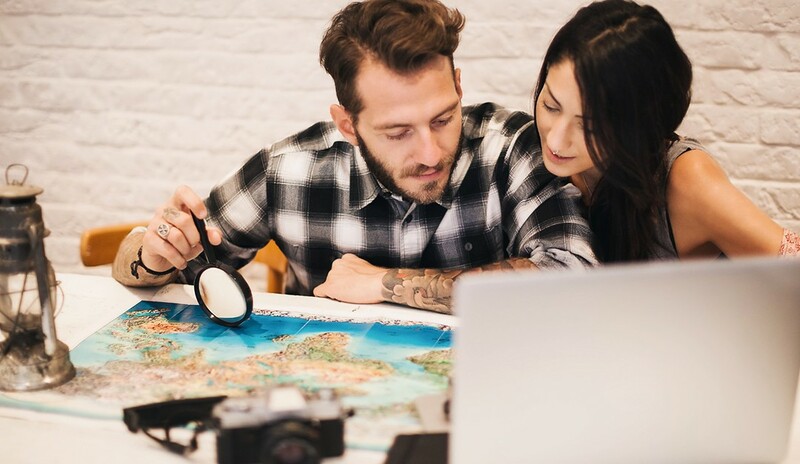 Don’t confuse “last-minute” with “short notice.” Last-minute travel is generally accepted to mean short-notice travel, taking place within about 14 days from when you booked. However, short-notice travel means you show up at the airport and buy your ticket, as in many a rom-com movie. This method will cost you an arm and a leg, but savings of 30 to 50 percent are fairly easy to find if you can book two weeks before you pack. Airfare deals need the most sleuthing. The best last-minute deals are often found in package deals, which include the airfare. Last-minute deals on airfare alone are rare, although tour operators needing to fill a charter flight will sometimes offer really low prices, so that’s the place to start looking if you’re looking for late-date airfare. Mid-week travel is best. Traveling on Tuesday, Wednesday or Thursday can save you big bucks no matter how far ahead you book. For last-minute travel, it’s crucial, so plan a Wednesday to Wednesday vacation if you can. Be savvy about last-minute hotel deals. The best path for late-date hotel deals may be with Priceline, where you can name your price. Hotels like it because it helps them to fill empty rooms. But you won’t know which hotel has “won” your business until you’ve accepted the deal, so it may not be the best choice if you are really choosy. Last-minute travel is best for adventurers. You’ll find the best deals if you are willing to take a bit of potluck about destination. The search may be less successful if you’re stuck on one place and have no flexibility on vacation dates.